Yoga is one of the best activities you can do to improve focus, balance, flexibility, and physical fitness. Also believed to enhance mood and relieve stress, this all-round health-boosting discipline is practiced across the world. At Excell Sports, our range of Yoga-Mad equipment is ideal for doing yoga in the comfort of your own home, or with a group at the gym. With our Yoga-Mad collection, you have the choice of some of the best designs and materials in the country. Featuring yoga mats, bricks and blocks that offer support, cushioning and slip-resistance; our Yoga-Mad range is perfect for both beginners and pros. 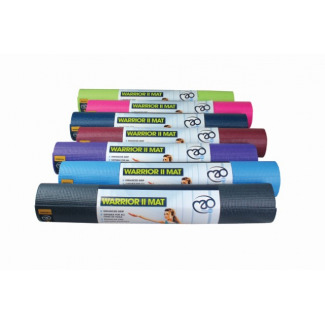 Part of The-Mad-Group sports brand, Yoga-Mad is one of the UK’s top suppliers of yoga essentials and has supplied yoga mat material since 1923. With our Yoga-Mad range, you have a variety of colours and products to help you improve your yoga skill regardless of level. Get the Yoga Mad Warrior yoga mat in your choice of colour and make sure you have insulated protection from hard floors and excellent grip during movement. The 4mm thickness of these yoga mats is considered the most popular among yoga fans and the material is machine-washable, so it keeps its ideal form even after many sessions. 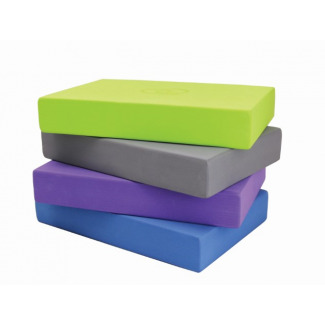 If you want help improving your posture, our colourful and multi-sized yoga blocks and bricks from Yoga-Mad are excellent. These yoga props are designed to provide extra support and cushioning during different standing, seated and bending postures — which can really boost your confidence and ability when holding different stances. For more information about our Yoga-Mad mats, blocks and bricks; click on our images. We also stock quality fitness equipment from lots of other top brands that can help boost your fitness.